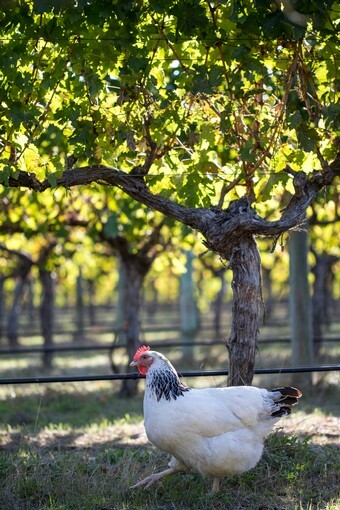 Oates Ends was born in 2000 when the family made a red blend in the shed on the farm to share with friends and family. The grapes used came from the ends of the rows that the machine harvester didn't pick, hence the name. Picked from various blocks and vareties around the region and added to the ferment until sufficient volume for a barrel or two, each vintage blend was unique. Fast forward more than a decade and winemaker Cath decided it was time to make wines to capture the evident quality of the vineyard that the family planted in 1999 and Oates Ends was reborn. Drawing on the combined experience of their respective careers with wine and vineyards, a shared love of wine and a healthy dose of sibling rivraly, Oates Ends is a relection of their individual philosophies, from a great piece of earth in a very special part of the world. Drawing on our combined experience we strive to make wines that express our individual terroir and philosophy.